Louise Bock is one of the performing names worn by Taralie Peterson of that most excellent duo, Spires That in the Sunset Rise. And the music on Repetitives in Illocality recalls a few aspects of Spires’ recent live shows. It’s akin to a dreamily aggressive take on the outer fringes of early ECM-style improvisation. A lovely hover between out-chamber-jazz, new music and the unknown tongue. 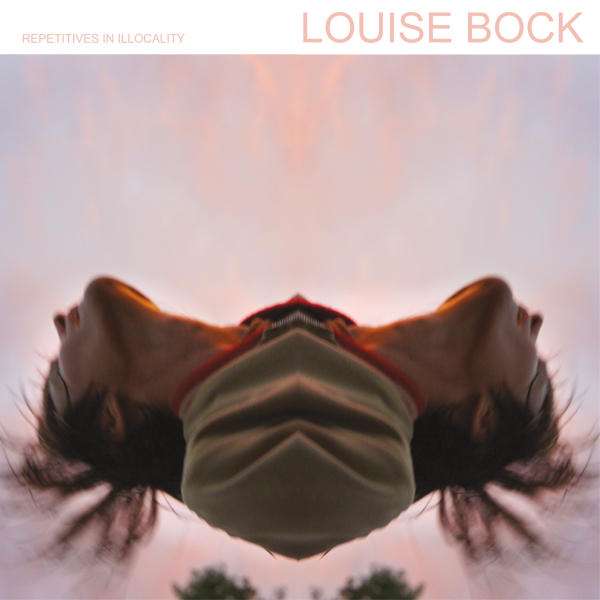 Using cello, sax and treated lap harp, Louise Bock creates surfaces that are sometimes as chopped as ice sculptures made with a chainsaw, and at other moments as smooth as the soft expanse of Brian Eno’s forehead. Those passages where the cello takes the lead are the most serious. Some passages, with their mournful sweep, almost sound like the slower parts of Kodály’s “Solo Cello Sonata.” The treated lap harp has resonance qualities not unlike a jaw harp at times, enabled to produce long tone lines, as well as to wobble like a jawful of loose teeth. When Taralie’s voice comes in, it can almost seem like Martin Rev is playing a solo on an old pushbutton phone while Judy Nylon blows clouds of aether into his wig. But the vocals combine with the sweet saw of cello in an entirely different way. Suggesting snippets of not-yet-discovered operettas about life elsewhere. Meanwhile, lap harp and sax appear to exist in a post-progressive universe where early ’70s Gong may have actually had some serious moments. And this is some seriously amazing stuff – solo, duos, trios and quartets drawn from the deep well of Louise Brock’s imagination. Defy illocality. Come close and listen.